Porcelain inlays & onlays are an option for patients in Edmonton looking to correct or enhance their teeth and smile. An inlay restoration is a custom-made filling made of composite material, gold, or tooth-colored porcelain. Porcelain inlays are popular because they resemble your natural tooth. Inlays can be utilized to conservatively repair teeth that have large defective fillings or have been damaged by decay or trauma. Inlays are an ideal alternative to conventional silver and composite fillings. Also, they are more conservative than crowns because less tooth structure is removed in the preparation of inlays. An inlay procedure would normally require two visits to our Edmonton office. Your first appointment would include taking several highly accurate impressions (molds) that would be used to create your custom inlay and a temporary restoration. While the tooth is numb, the dentist would remove any decay and/or old filling materials. The space would then be thoroughly cleaned and carefully prepared, shaping the surface to properly fit an inlay restoration. At your second appointment, your new inlay would be carefully and precisely cemented into place. A few adjustments may be necessary to ensure a proper fit and that your bite is comfortable. However, we now have the latest technology to complete your inlay in one visit! We have just invested in CEREC CAD-CAM technology that allows us to digitally scan your teeth and then fabricate your new porcelain inlay in about 15 minutes. No more messy impressions or temporary inlays and you no longer must wait 2 weeks to get your inlay. We would complete your treatment the same day, saving you a second visit. You will receive care instruction at the end of your treatment. Good oral hygiene practices, a proper diet, and regular dental visits to our Edmonton office will aid in the life of your new inlay. An onlay restoration is a custom-made filling made of composite material, gold, or tooth-colored porcelain. Porcelain onlays are popular because they resemble your natural tooth. An onlay is sometimes also referred to as a partial crown. Onlays can be utilized to conservatively repair teeth that have large defective fillings or have been damaged by decay or trauma. Onlays are an ideal alternative to crowns (caps) because less tooth structure is removed in the preparation of onlays. Onlays are essentially identical to inlays with the exception that one or more of the chewing cusps have also been affected and need to be included in the restoration. As with most dental restorations, onlays are not always permanent and may someday require replacement. 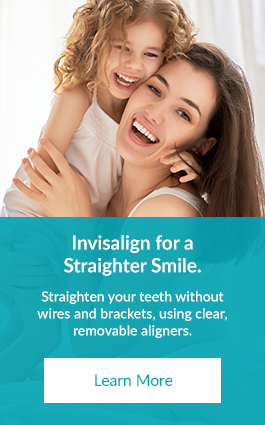 They are highly durable and will last many years, giving you a beautiful healthy smile. An onlay procedure would normally require two visits to our Edmonton office. Your first appointment would include taking several highly accurate impressions (molds) that would be used to create your custom onlay and a temporary restoration. While the tooth is numb, the dentist would remove any decay and/or old filling materials. The space would then be thoroughly cleaned and carefully prepared, shaping the surface to properly fit an onlay restoration. At your second appointment, your new onlay would be carefully and precisely cemented into place. A few adjustments may be necessary to ensure a proper fit and that your bite is comfortable. However, we now have the latest technology to complete your onlay in one visit! We have just invested in a state-of-the-art CEREC CAD-CAM technology that allows us to digitally scan your teeth and then fabricate your new porcelain onlay in about 15 minutes. No more messy impressions or temporary onlays and you no longer must wait 2 weeks to get your onlay. We would complete your treatment the same day, saving you a second visit. You will receive care instruction at the end of your treatment. Good oral hygiene practices, a proper diet, and regular dental visits to our Edmonton office will aid in the life of your new onlay.